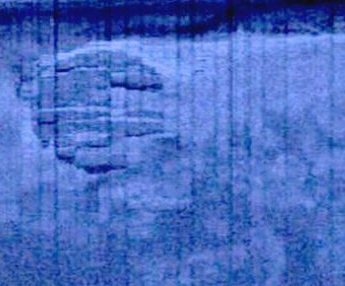 Last summer, while on a treasure hunt between Sweden and Finland, the pair and their research associates made headlines worldwide with the discovery of a 200-foot wide unidentified object at the bottom of the Baltic Sea. it doesn't even matter if it is a spacecraft from a different world because the governments around the world will threaten this team to do a coverup. its a lose lose situation. we will not know what it is for very many years to come. I agree, they would never tell us the truth anyway!! The day the found this, the Govts probably was already there and gone with it...I bet they find nothing! First comment is absolutely correct. I thought they would have already been back to the site by now.. I just thought it had already been covered up and that's why i'd heard nothing since. I would believe more likely that it's a built structure that was constructed when the Earth's water levels were much lower like in the Ice Age. There are so many things now underwater that we have no clue about. Just think what our world would be if the ocean levels rose a couple hundred feet. You wouldn't know there were coastal cites or even Florida for that matter. It's still exciting to see. Until we know for sure (if ever) it's all speculation anyway.